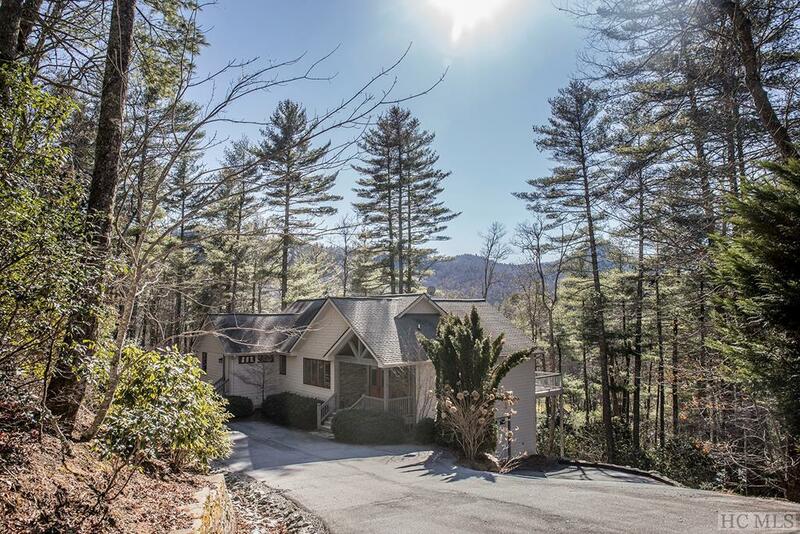 Charming Arts and Crafts private home on large wooded lot with mountain view and secluded set back from golf fairway that allows for privacy on all sides. 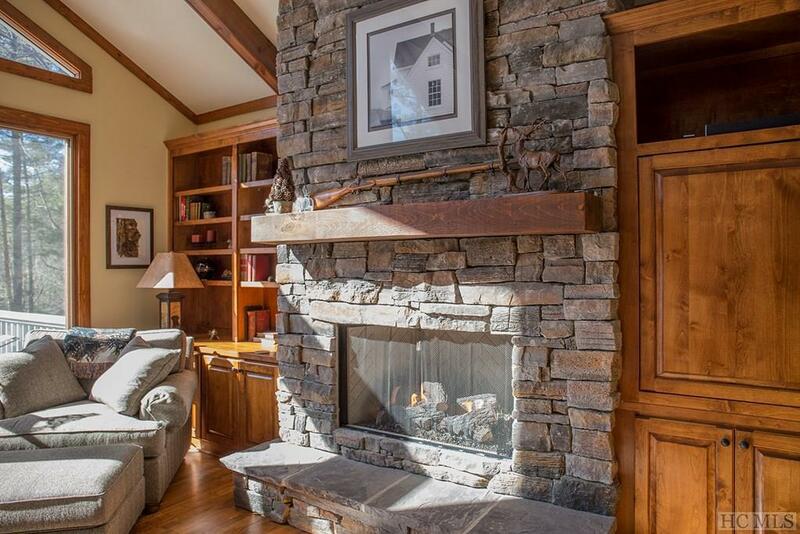 Beautiful stacked stone fireplace with gas logs in open setting with vaulted exposed beam ceiling in family/dining area that features hardwood floors, custom built-ins and separate bar area with refrigeration. Large kitchen with stainless appliances and hard surface counter tops.Screen porch plus two open decks to enjoy the outdoors rain or shine. Large bed and breakfast style Master BR for those lazy days. Two-car garage includes a workshop. 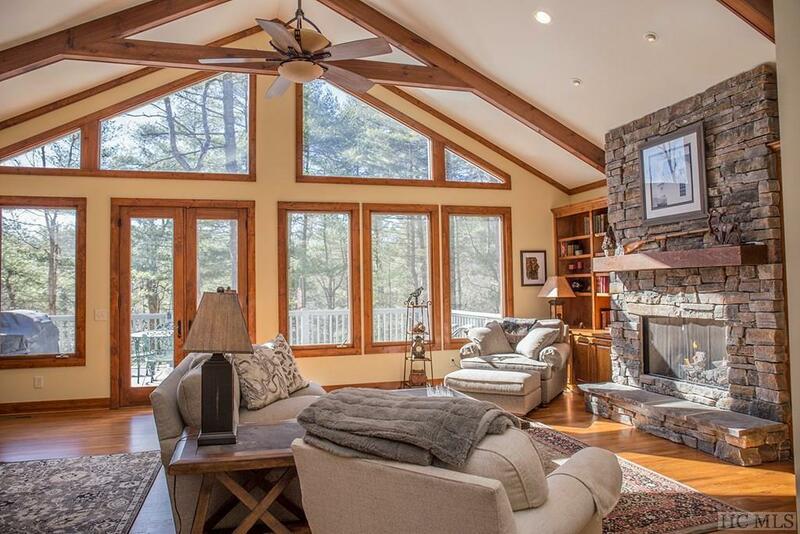 Built-in generator and hybrid HVAC system with heat pump, gas heat and dehumidifier ensure year-round comfort. 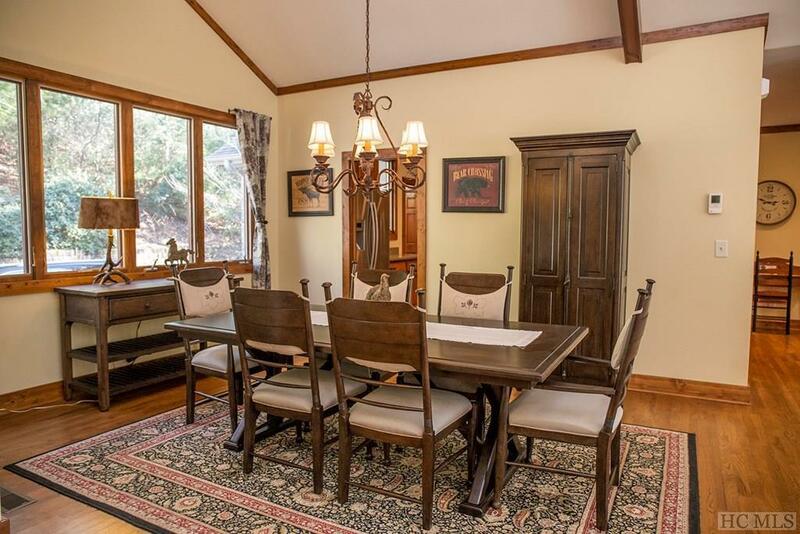 Convenient to the crossroads as well as the amenities and within easy walking distance of Fairfield.Lake. NEW FURNACE AND CLEANED ROOF LOOKS LIKE NEW! Listing provided courtesy of Christine Long of Landmark Realty Group.